Our Practice - Optometric Specialties, Inc.
Eric Gaylord, O.D. grew up in Westminster California. After graduating from Westminster High School in 1978, he attended the University of San Diego on a baseball scholarship, and earned a Bachelor of Arts degree in biology in 1982. The next year he entered optometry school at the Southern California College of Optometry in Fullerton California, and in 1985 was awarded a Bachelor of Science degree in Visual Science. The college conferred the degree of Doctor of Optometry to him in 1987. 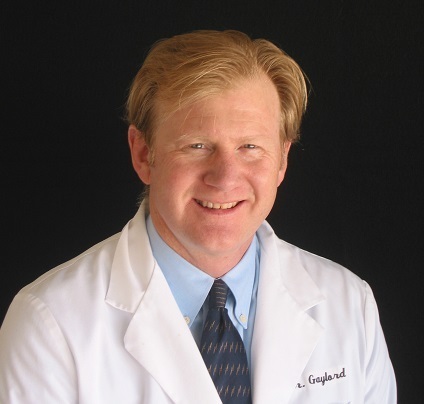 Dr. Gaylord then entered into private practice with his father Raymond E. Gaylord, O.D. in Los Angeles. Dr. Gaylord practices general optometry with an emphasis on primary eye care. He has extensive experience in treating vision disorders of all types with glasses, soft contact lenses, and rigid contact lenses including scleral lenses for keratoconus. ​In 1996, he was certified by the International Board of Optometric Examiners for the Treatment and Management of Ocular Disease, and was certified by the California State Board of Optometry in 2001 to treat Primary Open Angle Glaucoma. Dr. Gaylord has diagnosed and managed thousands of cases of eye disease including eye infections, dry eye disease, diabetic and hypertensive eye disease, macular degeneration, cataracts, and glaucoma.